Nitin Paranjpe's focus on the consumer, rigorous attention to detail, and leadership qualities have infused the slow, complacent HUL with dynamism. The dry summer heat of May and June can be quite oppressive in Pune. But it did not deter Nitin Paranjpe, then Managing Director and CEO of Hindustan Unilever (HUL), from stepping out of the air-conditioned conference room of HUL subsidiary Kimberley Clark Lever, for a market visit in 2011. Paranjpe and Prakash Iyer, Managing Director of the Pune-based Kimberley Clark Lever, walked into a kirana store in the city's Hinjewadi locality. A dusty bottle of Vim dishwashing liquid caught Paranjpe's eye. He rolled up his sleeves and started wiping the dust off the bottle. Just as he was striking up a conversation with the store owner, a teenaged student walked in to buy a packet of Maggi noodles. Paranjpe asked the shopkeeper to step aside and interacted with the student himself. He asked the student why he preferred Maggi noodles to Knorr (an HUL noodle and soup brand) and eventually persuaded him to buy a packet of Knorr instead of Maggi. Iyer says the teenager had no inkling he was talking to the CEO of HUL, thanks to Paranjpe's humility and focus on the consumer. It is the combination of intellect and the ability to get close to issues that makes Paranjpe one of the most successful CEOs of the Rs 26,000-crore consumer goods behemoth. This consumer-centric approach has paid off handsomely. 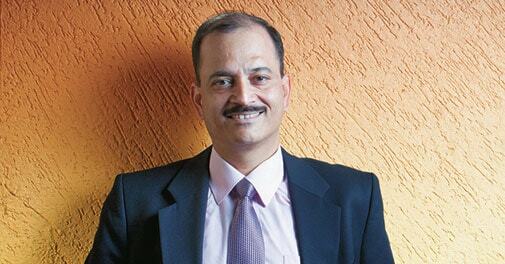 When Paranjpe took over the reins of HUL in 2007, it was going through one of its roughest patches. Revenue growth was in the single digits, and Paul Polman, CEO of Unilever Plc, had even declared that its Indian arm was an "underperformer". Three years later, at the company's annual review, Paranjpe admitted that he and his team had made mistakes. A former colleague of his, who now heads an Indian consumer products company, says: "He said the mistakes were part of a learning curve, and promised to fix them. It requires immense courage for a leader to own up to his mistakes publicly." HUL's top team realised it could no longer afford to rely on its decades-old strategy of catering to the mass market. "We concluded that getting back to growth would require us to become even more obsessive about consumers, their changing needs and aspirations," says Paranjpe, now president of the home care business of Unilever Plc. He adds that HUL set up organisation-wide initiatives to make the consumer focus the corner stone of everything it did. His former colleague and friend, Jyothy Laboratories CEO S. Raghunandan, calls him a "nuts-and-bolts guy" who leaves no stone unturned to ensure his company's vision is implemented. The focus on the consumer became something of an obsession for Paranjpe. By keeping an eye on changing consumer aspirations, Paranjpe steered HUL from just a mass products company to a mass and premium products one. The Pond's cold cream brand, for instance, was extended to a range of highend anti-ageing cosmetics. Similarly, the Vaseline brand, synonymous with petroleum jelly for chapped lips, got a makeover in the form of men's grooming products. "HUL always had a good product portfolio, but under Nitin, it started offering the best," says Devendra Chawla, CEO of Food Bazaar. The premium products, he adds, had higher margins and ensured a better growth rate. Chawla says he will always remember Paranjpe for developing the Indian consumer market in line with consumers' changing aspirations. Although the premium segment was high on Paranjpe's agenda, he didn't overlook the rural market, HUL's mainstay for decades. He aggressively increased distribution: the number of rural outlets doubled to two million between 2010 and 2012. "One needs strong leadership to take these kind of steps, as rural distribution requires huge investments, and the benefits and growth are rarely as fast as one would like them to be," says Abneesh Roy, Associate Director (Institutional Equities - Research), Edelweiss Securities. Paranjpe says building superior brands through innovation and backing them with good market execution are at the heart of his company's strategy. "This has helped build competitive advantage," he says. HUL has grown consistently at 10 per cent for 10 consecutive quarters. Revenues climbed to Rs 26,000 crore in 2012/13 from Rs 17,764 crore in 2009/10. Brand specialist Harish Bijoor, who worked with Paranjpe during the early part of his career, says Paranjpe is the most down-to-earth CEO Hindustan Unilever has ever had. "People skills are something Nitin excelled in even in the early part of his career," says Bijoor, who is CEO of Harish Bijoor Consults. "I always felt he could have made a great career as a human resources professional." Former head of Britannia Industries Sunil Alagh says: "It is not easy to be humble, being the CEO of HUL." He adds that all of corporate India is struck by Paranjpe's humility, and believes that the company's turnaround can be attributed largely to his people skills and efforts to dismantle hierarchies in the organisation. "One needn't be a direct reportee of Nitin to meet him," says a young HUL management trainee. "Even the most junior area sales manager can meet him and share his or her views with him." Indeed, while he was CEO at HUL, Paranjpe made it a point to have lunch with management trainees at least once a week. This, he says, helped him understand what young India aspires to. Even at the organisational level, says Raghunandan of Jyothy Labs, he set up robust processes that helped HUL to put consumers at the centre of everything it does. A case in point is Mission Bushfire, which requires every HUL employee to spend at least one day a year in the marketplace to understand consumer behaviour. The company also has an internal website called Point of Purchase Eye or Popeye, where any employee can give an update on stock availability in any store in the country. Paranjpe believes in setting unrealistic goals to get HUL employees to perform and come up with breakthrough ideas. This is something he learned from late management guru C.K. Prahalad during a conversation about what could make HUL an even greater company. "The value of that conversation which stayed with me was how a mismatch between aspirations and resources is a necessary condition for any breakthrough and innovative thinking," says Paranjpe. "I experimented with this thought in my recent stint and saw it come to life when people took on goals and aspirations which had no correlation with the resources. When we live with these possibilities, then magical outcomes do take place." So, what is it from the India story that Paranjpe would like to replicate in his new role as President of Home Care, Unilever Plc? "The most important learning is the need for our obsession with consumers," he says. "If we are able to delight our consumers, we will continue to win. Another important learning was that we should not be complacent about our leadership position. We need to constantly challenge ourselves and ensure that we continue to lead in both thought and practice, and that is the only way to remain in a leadership position for the long term."